At the age of zombie obsessions, we are getting loads of merchandise from these living-dead creatures. And the App Store is just one of those platforms that these “walkers” have invaded. Zombie-fied games like Plants versus Zombies, Zombie Apocalypse and Zombie Tsunami may have been a mile away up the charts but this newer zombie-alien manipulator has blended some bug skins to our favorite creatures. Let me introduce the Alien Zombie Bug Face - the app that definitely worth a second look in the pack of zombie-related franchises. Check out our detailed review after the jump. 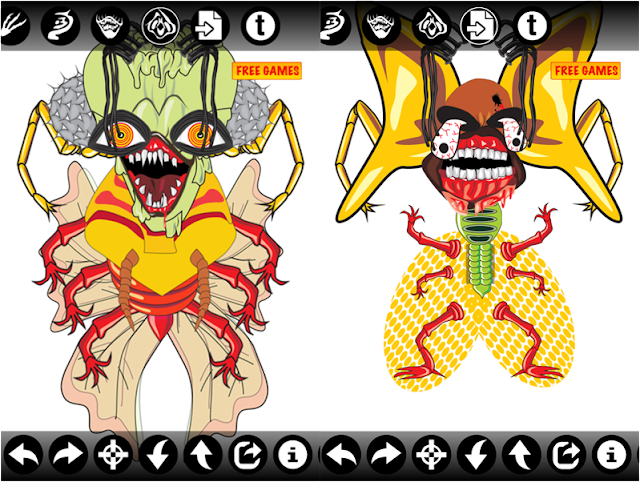 Basically the app is just making your own mini-monster out of the available zombie and alien in-app libraries. 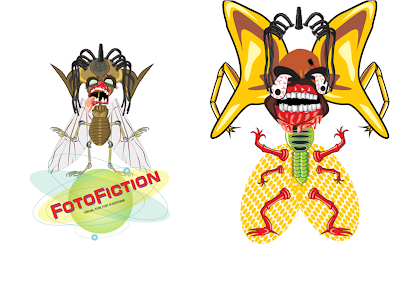 Plus, you can also add some bug-like features such as wings, appendages, body, eyes, etc. The goal is to make the scariest combination of different body parts to make the ultimate alien-zombie icon with bug-ish features. The app is a total fun. Top panel houses the different selection of eyes, horns, limbs, hands and different body parts that you could choose from. You just have to slide these icons on the slot to activate the category. Afterwhich, you have to slide the main interface to choose from the scariest items. I was like confused at first on what to do after opening the app. Interface may be simple but it took me a while on how to create the creature that I’ve wanted. I must give praises to FotoFiction Inc, though, on making this app fresh and colour-oriented. I love the selections of swappable body parts; each has its own unique (or distinct) feature. You could hardly make a similar creature out of these options. The bottom tab houses the undo/redo buttons, move button, share and start over button. What I like about the app is its ability to easily share you output in different kinds of social media (Facebook, Twitter, Tumblr and Instagram). You could even mail it to your friends or just save it to your camera roll. But before sharing anything, you opt to choose you background for the scariest creature in the planet. The app is definitely free in the AppStore. However, you will be plague with loads of in-app advertisement. The moment I’ve opened the app, it instantly asked me to download a free game – which I don’t like. There’s also in app purchases that will prompt you anytime. The app is fun though – for me it’s out of the box. If you have higher tolerance on ads, this app will give you a good time. Again, user interface is a good thing. The minimalist nature of the app makes it fun to use, you just have to get used to it first. Alien Zombie Bug Face is a delight to monster lovers out there. If you’re looking for a different thing this Halloween season, this is a better value. You might want to scare your friends with these Alien-Zombie hybrids during trick or treats. The app is totally fun and easily to get hooked to. Kids and young-adults will absolutely love it.